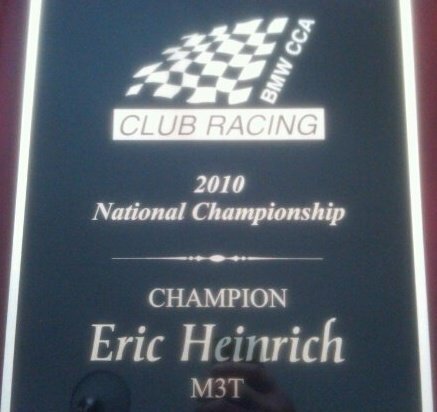 To anyone familiar with BMW CCA Club Racing, Eric Heinrich is a household name. 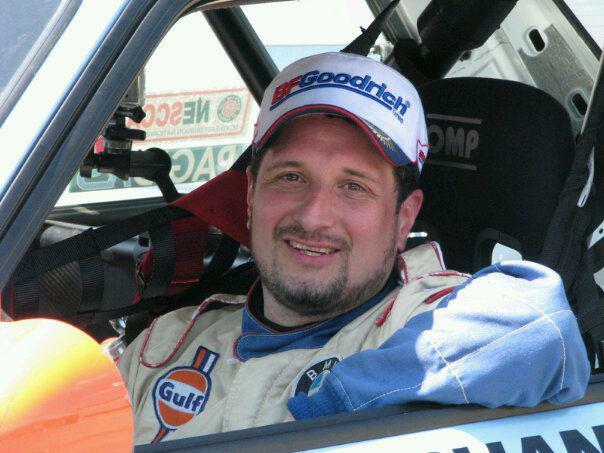 Eric is the 2010 BMW CCA Club Racing National Champion (E30 M3 Touring Car), 2011 SCCA Jim Fitzgerald Rookie Of The Year, and he holds numerous BMW CCA and SCCA track records. Today we dig in deep into fitness prep and reliability in the off-season. I’m not talking about the car here. The off season is here, and most people are spending time bantering and bench racing on the interwebs, making racing plans for the upcoming season and prepping their car a little more. A couple areas people overlook are prepping the mind and prepping the body. Don’t forget to keep that nut behind the wheel nice and tight! There’s a few ways to do this. This article will spend a little time on prepping the body for your upcoming track season. As always, before you start a regime of exercise, nutrition and fitness training, it’s important to talk with your physician to make sure you are in good health and not putting yourself at risk of injury. For anyone from the weekend occasional autocrosser to the HPDE student, from the instructor to the SRS BZNS racer, all of us can use a little more strength, fitness, endurance, and flexibility. Let’s look at some well known pros as examples: Bill Auberlen and Randy Pobst. Both are extraordinarily successful professional race drivers, and both are exceptionally fit. Bill is strong and muscular, whereas Randy is lithe and fit. Although I haven’t spoken directly with them on this, I am confident that both of them would agree that being strong and fit is an important part of their success. I’m not going to preach one particular style of exercise over another – and as much as I like to rag on crossfitters, the reality is it’s all excellent, if done properly. That last part is crucial, and given the average age of your typical weekend warrior track junkie is not in the 20’s, careful attention to proper warm up, technique and form is crucial. Ligaments and tendons are not as flexible and are more injury prone than they once were, and the older you get, the longer it takes for the body to recover. Hoisting a small weight the wrong way can tweak a small inner shoulder muscle called the supraspinatus – a muscle that can take a long time to recover -and in the meantime will make any type of a pressing movement with your chest or shoulders painful and difficult to do. Now wait a minute, why would you do presses if you’re a driver? Shouldn’t you be doing lifting exercises? The answer is you should be working the whole body. Take a second now and lift your left hand up as if you were in the driver’s seat and holding the wheel at 10:00 with that hand. Now put your right hand on top of your left and while holding your right hand in place, push with your left arm up against your right hand as if you were turning the wheel. Pay attention to which muscles are working on your left side – feel that? Those are your deltoids. If you’ve screwed up your shoulder as a result of poor form while doing shoulder exercises, you’re going find your shoulders getting tired sooner during a session on track. That’s just one example. Let’s take a minute now and think about the muscle groups used by us track nuts. So what type of movements do we do at the track? We lift heavy toolboxes off the ground and into trunks and up onto benches. We lean down and pick up wheels, crouch down and hold them out in front of us to mount them. We jack up cars, we carry wheels and tires around, we push cars and heavy rolling toolboxes in and out of garages and trailers. In the car you have to hold your head up against g-forces, and even if you’re strapped in tight you still have to turn the wheel. You also have to be a contortionist to get in and out of the car and strap in – especially if you need to get out of a car that is on fire. Track driving is exhausting, and as you can see, you use your whole body, and to perform at your best you need to have muscular strength and endurance, cardiovascular fitness, and flexibility. The next few articles will touch on lifting weights for strength and muscular endurance, cardiovascular fitness and endurance, flexibility, and mental acuity, because having the greatest skills in the world won’t help you if you are out of breath, unfocused, dehydrated and tired. Next week: Picking things up and putting them down. 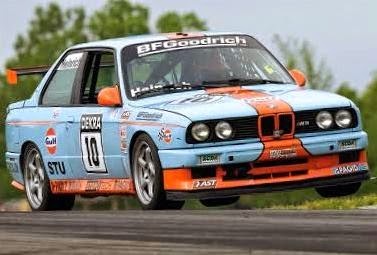 Sponsors: BF Goodrich Tires, ElephantMotorsports.com, AST-USA Suspension, D-Force Wheels, Stop*Tech brakes, Pagid RS brake pads. 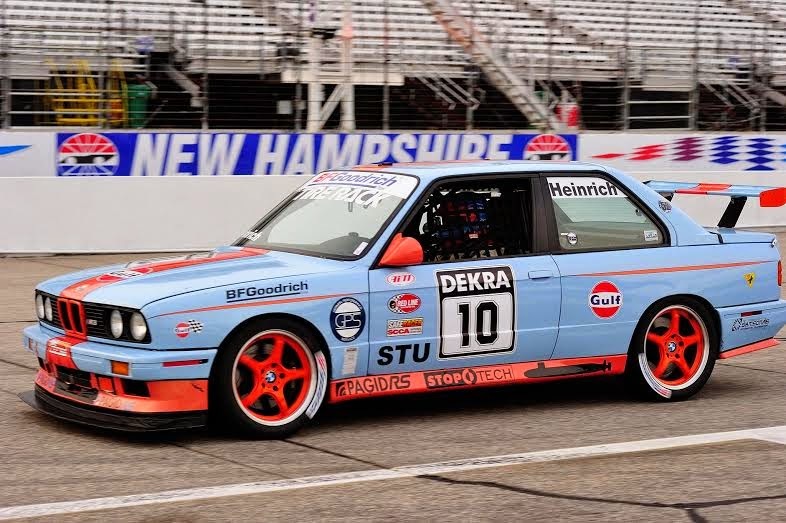 Per Eric, "Marc Feinstein at German Performance Service in Brighton, MA preps the car and is my race engineer. With all the experience he has from being at TMS and being the race engineer for Black Swan, he is a huge asset and a big factor in my success. And my wife Beth of course - anyone who knows her or has met her understands what a super person she is." This Radical Turns on A Dime! I Need This Sticker on My Race Car!! Top Gear to The Rescue! Video of The New Porsche Cayman GT4 on Track!